I will fully admit I have a giant sweet tooth. It's bad, but it's reality! So I try to satisfy my craving by still being healthy. This doesn't mean I don't occasionally indulge in something like, oh... a triple chocolate cake I baked last weekend... But overall, I try to be very clean with the types of sugar I consume as well as the amount. That way I'm able to indulge sometimes without feeling guilty. I'm sure you have heard or seen all the hype on chia seeds lately. Normally I'm not one for trending food fads, but I finally decided to look into the health benefits, and it seems that chia seeds are pretty great. I'm always looking to add more fiber to my diet. Fiber is what helps speed up digestion and get rid of toxins, leaving you with a flat tummy and no bloated feeling. 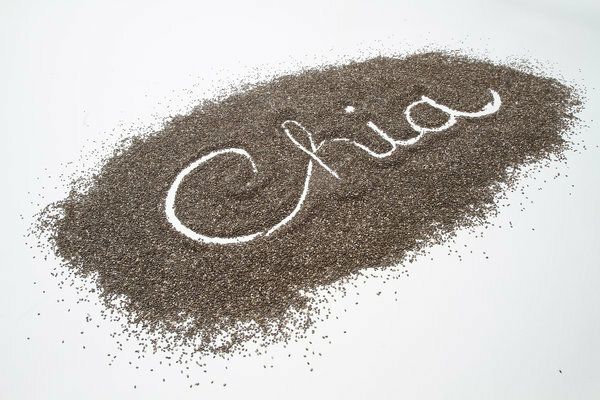 You can read more in depth about chia seeds' benefits here. 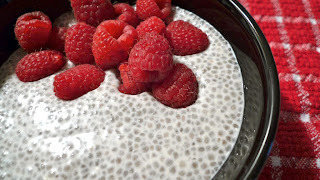 On Pinterest, I kept seeing pins popping up of chia seed pudding. I LOVE pudding and am a big fan of Chocolate Avocado Pudding (which I'll post soon). It turns out Chia Seed Pudding is such an easy recipe (i.e. no cooking!) and very good for you! I tweeked the few recipes I looked into and came up with my own version. Whisk all the ingredients together in a bowl or mug. Try to ensure the chia seeds aren't clumping together. Allow chia seed mix to set in the fridge for a minimum of 2 hours. Stir every 30 minutes or so to alleviate clumps. As the chia absorbs water, they form a gelatinous little shell, similar to tapioca. This creates a pudding-like texture that I find delish! It will have the crunchy seeds still, so it isn't exactly like plain old pudding. But I don't mind! It gets the job done by satisfying my sweet tooth AND providing multiple healthy benefits I can be happy about.